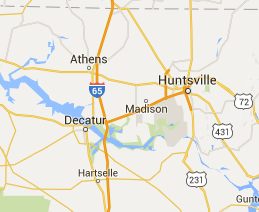 Huntsville is known as the "rocket city." In addition to its space program past, the city boasts a cost of living rate below the national average. It is an affordable place to live! This does not come at the expense of entertainment opportunities. Huntsville / Decatur has 64 parks, 11 recreation centers, and 175 miles of biking and running trails. Search our site to find your perfect home today! No listings have been published at this time.